Show your CAA Member Card and Save at Sil’s Auto Centre. Sil’s Auto Centre is a CAA Approved Auto Repair Services Facility in Mississauga. As a CAA Approved Auto Repair Services Facility, Sil’s Auto Centre has met the strict requirements set by the CAA for quality services at fair prices. If you are a CAA Member, show your CAA Card every time you come to Sil’s Auto Centre for a car repair or service and you can enjoy a 3% discount! 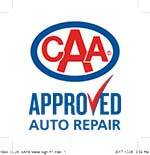 Sil’s Auto Centre also participates in the CAA Battery Assist Program. Bring your car to Sil’s Auto Centre for complimentary battery testing.